DC US Attorney Will Still Prosecute Marijuana Possession on Federal Property. No matter that the District of Columbia has decriminalized the possession of small amounts of marijuana. The office of the US Attorney for the District says anyone caught with pot on federal property could still be prosecuted under federal law, but that decisions will be made on a case-by-case basis. "Individuals arrested for merely possessing, but not using, less than one ounce of marijuana on federal property would be presented to our office for potential prosecution under federal law," said William Miller, public information officer for the DC US attorney. "We will assess each case on an individualized basis, weighing all available information and evidence, consistent with Justice Department enforcement priorities and the need to use our limited investigative and prosecutorial resources to address the most significant threats to public safety. We rely heavily on diversion programs in our local marijuana prosecutions, and would likely do the same with respect to federal offenses." Despite Ticketing Ordinance, Chicago Cops Still Arresting People for Pot Possession. A 2012 Chicago ordinance allows police to ticket small-time marijuana possession offenders instead of arresting them, but the cops keep arresting people anyway, according to a study released today by the Illinois Consortium on Drug Policy. The study, "Patchwork Policy: An Evaluation of Arrests and Tickets for Marijuana Misdemeanors in Illinois," is available here. In Chicago, 93% of small-time pot possession violations resulted in arrest, not tickets, the study found. That's worse than other Illinois localities that have adopted similar measures. But the Chicago Police say implementing the new ordinance is slow and that the number of people arrested for misdemeanor possession dropped by 5,000 between 2011 and 2013. Marco Rubio Says No Responsible Way to Smoke Pot. In an interview airing today, junior Florida senator and possible Republican 2016 presidential candidate Marco Rubio refused to say whether he had ever used marijuana, came down in opposition to decriminalization, and said there was no "responsible" way to smoke pot. "I don't want my kids to smoke marijuana. And I don't want other people's kids to smoke marijuana. I don't think there is a responsible way to recreationally use marijuana," he said. "The bottom line is, I believe that adding yet another mind-altering substance to something that's legal is not good for the country," he said. "I understand there are people that have different views on it, but I feel strongly about that." Decriminalization Initiative Campaigns Underway in Wichita, Other Kansas Cities. Kansas for Change, a group that seeks to legalize marijuana in the Jayhawk State, is taking aim this year at the state's largest city, among others. The group is now gathering signatures to put a decriminalization initiative before the Wichita city council. If the group can gather 4,300 signatures, the council must either approve the measure or put it before the voters. Similar petition drives are also ongoing in Emporia, Lawrence, Salina, Topeka, and Wyandotte County (Kansas City, KS). Minnesota Legislature Passes Compromise Medical Marijuana bill, Governor Will Sign It. Minnesota is set to become the 22nd medical marijuana state after the state House and Senate gave final approval Friday to compromise legislation that will provide some patients access to medical marijuana, but not allow them to smoke it. Patients are allowed to use it in the form of liquids, pills, and oils, including those produced from whole plant extracts, as well as through vaporization, but cannot use it in its standard form of buds. Two marijuana product manufacturers will be registered by the state, with eight distribution centers, and only pharmacists will be allowed to dispense it. The Incredible Whiteness of Drug Policy Reform. Celebrity Stoner's Steve Bloom has held up a mirror to the face of the American drug reform movement and is blinded by the white. Responding to a critique of marijuana reform groups from Drug Policy Alliance board member Dr. Carl Hart that "their rank and file to their advisory boards consists almost exclusively of white, privileged and devoted marijuana smokers," Bloom decided to take a look. He surveyed seven major reform groups and found that of 325 staff and board members, only 19 were black, 12 were Latino, and nine were Asian. The movement does a bit better on gender, with 101 women. Click on the link for all the details. Mexico Poll Finds Little Support for Marijuana Legalization. A poll commissioned by the Mexican congress's lower house as it ponders marijuana reform legislation has found little popular support for it. The survey carried out by the chambers Center for Social Studies and Public Opinion found that 70% opposed legalization, with only 20% in favor. And nearly 62% said legalizing marijuana would have no or little impact on drug trafficking and associated crime and violence. Click on the link for more details. Jamaica Religious Figure Gives Blessing to Marijuana Sector. The Rev. Rennard White, president of the Missionary Church Association and vice-president of the Jamaica Evangelical Alliance, has said that marijuana can be a panacea for Jamaica's economic problems. "I hope the ganja industry will come of age and be properly treated with so we can reap the maximum benefit with minimum loss," White told congregants at the Covenant Moravian Church Sunday. His remarks were greeted "with thunderous applause." US Says it Welcomes Progress in Colombia Peace Talks. After the Colombian government and the guerrillas of the FARC announced agreement on drug issues Friday, the State Department has now responded. "The United States welcomes the announcement of further progress in efforts to achieve the peace the Colombian people deserve through negotiations," Secretary of State Kerry said in a statement. "Resolving the question of narcotics production and trafficking is central to achieving that peace. We congratulate president Santos and the Colombian government for this advance," he added. Kerry went on to say that "Colombian government officials underlined the importance of maintaining both manual and aerial eradication capabilities," although the joint communique from the FARC and the Colombian government says that aerial eradication will only be a last resort conducted in conjunction with the wishes of local communities. 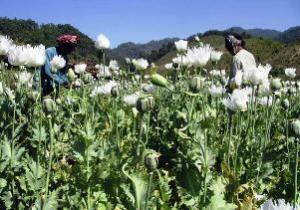 Pakistani Report Says Militants Being Financed By Taxing Drug Trade. A report prepared by Pakistani security services says militant groups based in the Kyhber Agency, the Frontier Region, and Peshawar are depending on a number of criminal activities, including taxing the drug trade from bordering Afghanistan, to finance their activities. One group even organizes a "hash fair" thrice a week in Orazkai Agency, the report said. But other than that, the groups rely on taxation and not direct involvement in the drug trade. The Colombian government and the Marxist guerrillas of the FARC have reportedly reached an agreement on how to deal with drug issues, the third item in a five-part agenda for peace talks that have ongoing in Havana since 2012. Both Reuters and Business Week reported Friday afternoon that an agreement had been reached. Both cited Colombian government officials who spoke anonymously because the agreement hasn't been made public yet. And neither have the details. The FARC has been at war with the Colombian state for half a century. Flush with profits from the coca and cocaine trade, it surged in the 1990s, but was beaten back by a vicious counterinsurgency led by the government of former President Alvaro Uribe and backed by billions of dollars in US anti-drug, and later, anti-terrorism assistance. Also aligned with the Colombian state were rightist paramilitary organizations involved in the drug traffic. The government of President Juan Santos has attempted to end the seemingly perpetual conflict by engaging in the peace talks. Santos is up for reelection later this month against a hard-line Uribe ally, Oscar Ivan Zuluaga, whose position is that the FARC must agree to lay down its weapons before engaging in peace talks. This apparent progress in the slow-moving talks could help Santos when voters go to the polls on May 25. While the FARC has refused a cease-fire while talks are ongoing, on Friday it also announced that it would temporarily cease operations in the days just before and after the election. 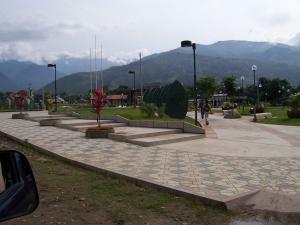 The FARC had entered this phase of the negotiations with a 10-point program on the drug issue, including special protections for coca producers, alternative development programs, development of licit uses for coca, poppy, and marijuana crops, an end to aerial fumigation of drug crops, and an to militarized drug law enforcement, decriminalization of drug producers, workers, and consumers, and recognition of problematic drug use as a public health, not a criminal justice problem. Federal Grand Jury Investigating Northern California County's "Pay to Plead Down" Program for Marijuana Defendants. Critics of the Mendocino County program that offers pot defendants a chance to cop a plea to a lesser charge in exchange for "sizeable restitution payments" call it the "Mendo shakedown." Under the program, defendants agree to pay $50 for each plant seized and $500 per pound, typically in exchange for a misdemeanor plea. It has generated $3.7 million in payments to local law enforcement agencies, and supporters say it is a way to reduce the logjam of marijuana cases, not subject local growers to harsh sentences, and compensate police for their marijuana enforcement work. Now, a federal grand jury is looking into it. The Santa Rosa Press-Democrat has a lengthy report; click on the link. California Medical Marijuana Regulation Bills Poised for Movement. Two bills seeking to bring some order to California's Wild West medical marijuana industry are set to move in coming days. Assembly Bill 1894, filed by Tom Ammiano (D-San Francisco) could get a floor vote in the Assembly before month's end, which it must do to stay alive. In the Senate, a similar -- but not a companion -- bill will go the Appropriations Committee on Monday. Senate Bill 1262, filed by Sen. Lou Correa (D-Santa Ana), also must pass out of its chamber of origin by the end of the month or it dies, too. Minnesota Will Get Medical Marijuana, But Not Buds. Under a compromise reached by lawmakers Thursday, Minnesotans will get a medical marijuana bill, but they won't be able to smoke their medicine. They can only use it in the form of liquids, pills, or oils, and they can vape, but not smoke it. Both houses had passed bills last week, with the House version being more restrictive. Gov. Mark Dayton (DFL) said Thursday he will sign the compromise measure. That would make Minnesota the 22nd medical marijuana state. New York Medical Marijuana Bill to Get Senate Committee Vote Tuesday. The long-stalled effort to pass a medical marijuana bill in the Empire State could take a big step forward Tuesday. That's when the Senate Health Committee will take up Senate Bill 4406. The Health Committee is only the first stop in the Senate, though; it must then pass the Senate Finance Committee before going to a Senate floor vote. New York Republican Files No Smoking Medical Marijuana Bill. State Sen. Phil Boyle (R-Bay Shore) has filed a bill that would allow for the use of medical marijuana, but bar "delivery through smoking." The bill is Senate Bill 7509, and it could signal a possible compromise that Senate Republicans could get behind. Oregon Circuit Court Judge Rules State Medical Marijuana Law Conflicts With Federal Law; Is Unenforceable. In a case involving the right of the city of Medford to revoke the business license of a dispensary, a Jackson County circuit court judge has ruled that the state's Oregon Medical Marijuana Act is "unenforceable" because it conflicts with federal law. Expect the decision to be appealed. DEA Head Chastened After Being Taken to the Woodshed Over Sentencing Remarks. DEA Administrator Michele Leonhart's lack of support for Obama administration mandatory minimum sentencing reforms at a congressional hearing last month got her a good talking to from her boss, Attorney General Eric Holder, The Huffington Post reports. She's been off the reservation on other issues as well, especially around the administration's relatively enlightened approach to marijuana policy, and just this week, her agency has been messing with Kentucky's effort to do legal hemp research. But it was her refusal to endorse changes in mandatory minimums that got her sent to the boss's office. Now, the DEA says Leonhart "supports the Attorney General's sentencing reform initiative." Drug Policy Expert Mark Kleiman Says It May Be Time to Do Away With DEA. In the same Huffington Post piece cited above, drug policy expert and current advisor to the state of Washington on marijuana legalization implementation Mark Kleiman said that while, in the past, he opposed dissolving the DEA and splitting its function, he is changing his tune. "Any DEA administrator feels an organizational imperative to support the existing drug laws and sentencing structure, even when doing so means opposing the purposes of the attorney general and the president, as we see currently," Kleiman said. "So I'd be inclined to reconsider my former opposition to merging the DEA" and perhaps the Bureau of Alcohol, Tobacco, Firearms and Explosives, into the FBI. "That would allow the combined agency to turn the skills and aggression of today's DEA agents against gun traffickers, cigarette smugglers, and purveyors of political violence." Drug Policy Alliance Calls for DEA Head to Resign. 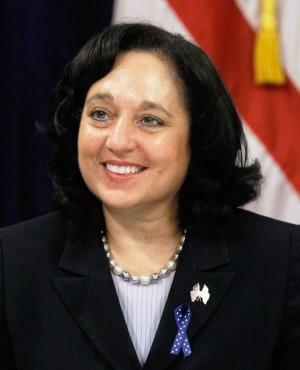 The Drug Policy Alliance has had enough of DEA head Michele Leonhart. Today, Bill Piper, the group's head of national affairs, called on her to resign. "For months Drug Enforcement Administration (DEA) Administrator Michele Leonhart has openly rebuked the drug policy reform policies of Attorney General Eric Holder and President Obama with one embarrassing statement after another," he wrote. "Now she is picking a fight with Minority Leader Mitch McConnell (R-Y) and other members of Congress over hemp. Meanwhile the Department of Justice's Office of the Inspector General has launched an investigation into multiple scandals plaguing the agency. It is clear that Leonhart lacks the ability to lead and should resign. Activists are using the Twitter hashtag #FireLeonhart." There's much more at the link. California Initiative to Drug and Alcohol Test Doctors Qualifies for November Ballot. An initiative that would require drug and alcohol testing of doctors and the reporting of a positive result to the state medical board has qualified for the November ballot. The Secretary of State's office announced yesterday that the Troy and Alana Pack Patient Safety Act of 2014 would also require that doctors be suspended pending investigation of a positive test and that the board take disciplinary action if the doctor was impaired while on duty. The measure also requires doctors to report other doctors they suspect of drug or alcohol impairment and requires health care practitioners to consult the state's prescription drug database before prescribing certain controlled substances. No Drugs Found in Raid Where Texas SWAT Officer Was Killed. Oops. The pre-dawn, no-knock home invasion drug raid that ended up with one Killeen SWAT officer shot dead and three more wounded didn't find any drugs. Killeen Police Detective Charles Dinwiddie died trying to execute a search warrant after an informant said he had spotted "bags of cocaine" at the residence, but all the raiders came up with was a glass pipe. Dinwiddie is the second Texas law enforcement officer to die in a pre-dawn, no-knock drug raid in the past five months. A grand jury refused to indict the shooter in the first case. Stay tuned to see what happens in this one. Russians Call for Single International Drug Office to Deal With Afghan Heroin. Viktor Ivanov, Russia's chief anti-drug official, said Thursday that all of the various international efforts to stifle the Afghan drug trade should be merged into a single, internationally-supervised office. "We suggest the creation of an international headquarters or an office for combating the planetary center of drug production in Afghanistan. The goal of the HQ would be to consolidate the currently separate anti-narcotic programs in Afghanistan and to create an effective, internationally-supervised mechanism to eradicate drug production," Ivanov said. He also implicitly criticized the US and the West for letting opium cultivation get out of control while NATO forces occupied the country. The effort had been "a fiasco," he said. Ivanov is among the Russian officials sanctioned by Washington in response to the Ukraine crisis. Lebanese Cannabis Farmers Benefiting from Syrian Conflict. Lebanese security forces are too busy dealing with the Syrian civil war raging on the country's border to pay much attention to a reviving cannabis industry in the Bekaa Valley, The Financial Times reports. Lebanese security forces quit raiding the Bekaa's pot farms two years ago, fearful of creating more unrest, and last year the crop brought in an estimated profit of $175 million to $200 million. "You couldn't make this kind of money growing gold," one farmer laughed. While some Lebanese politicians, including Druse leader Walid Jumblatt, have called for legalizing the crop, the farmers don't agree. The profits are too good, they said. Four Mexican Soldiers Killed in Apparent Cartel Attack in Jalisco. Four soldiers were killed in the western state of Jalisco earlier this week when the military truck they were riding in was attacked in Guachinango, about 80 miles from the state capital of Guadalajara. 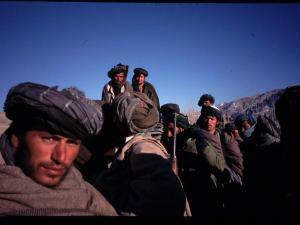 The attackers crashed a pick-up truck into the army vehicle, setting it ablaze, then opened fire. Investigators suspect the attack was staged by the Jalisco New Generation cartel, which is in a turf war with the Knights Templars cartel in neighboring Michoacan. There are accusations that New Generation has allied itself with some of the vigilantes fighting the Knights Templar. Saudi Arabia to Drug Test All Public Employees. Newly recruited teachers are first in line, but all public employees of the Saudi state are going to be drug tested, according to local media reports. The move is intended to "counter the increasing abuse of narcotics in the country's public service," the reports said. House Panels Debates DC Decriminalization Law. Republican members of a House Oversight subcommittee sharply questioned the District's move to decriminalize the possession of small amounts of marijuana Friday but did not indicate they would move to overturn the legislation passed by District lawmakers this spring. Rep. John L. Mica (R-FL), the panel's chair, said he was "not here to negate District law" but doubted whether the city's law would address its stated goal of reducing racial disparities in marijuana arrests. The hearing came amid warnings that it could be a first step toward Congress overturning the measure. Del. Eleanor Holmes Norton (D) told the committee it was inappropriate for the House to hold a hearing on only the District's laws when "18 states have decriminalized marijuana, 21 states have legalized medical marijuana and two states have legalized marijuana. She told The Washington Post in an interview she doubted Republicans would move directly to overturn the law. Click on the link to get more flavor of the hearing. Oregon Poll Has 54% for Marijuana Legalization. In what is moderately cheery news for Oregon marijuana initiative organizers, a new OPB has support for legalization at 54%. Two different initiative campaigns are in the signature-gathering phase, so voters could have the chance to vote twice to legalize it. This is only moderately cheery news because initiative experts like to see support at 60% or higher at the beginning of a campaign, and because the poll's +/- 4.9% margin of error could mean support is really only at 50%. Still, the trend seems to be in the right direction. The last poll from OPB that asked about legalization a year and a half ago only had support at 43%. New York City Pot Arrests Drop, But Only Moderately. Minor marijuana arrests in New York City have plunged in recent years amid questions about police tactics. But new statistics show the arrests dropped more modestly in the first three months of a new mayoral administration that has pledged to reduce them. Arrests for the lowest-level marijuana crime fell 34% in the first quarter of 2013 -- and 9% in the first quarter of this year, to roughly 7,000, according to state Division of Criminal Justice Services data obtained by The Associated Press. Both comparisons are to the same period in the previous years. Drug reform activists said this year's numbers show that problematic police practices continue despite new Mayor Bill DeBlasio's criticism of high marijuana arrest numbers. Oklahoma Initiative Will Start Signature Gathering May 18. The Oklahoma Compassionate Cannabis Campaign will begin signature-gathering for its medical marijuana initiative on May 18. The campaign needs 155,216 valid voter signatures to qualify for the November ballot. Minnesota Medical Marijuana Study Bill Wins House Committee Vote. A bill that would fund a study on the therapeutic effects of marijuana was approved by the House Ways and Means Committee Thursday. Senate File 2470 was filed by Rep. Carly Melin (DFL-Hibbing) after her earlier, full-fledged medical marijuana bill, House File 1818 was blocked by law enforcement and the governor. It now goes to the House floor. Meanwhile, Senate File 1641, the companion to Melin's earlier bill, remains alive in the Senate. California Overdose Antidote Bill Passes Assembly. A bill to expand access to the overdose reversal drug naloxone (Narcan) unanimously passed the Assembly Thursday. Assembly Bill 1535 would permit pharmacists to furnish the lifesaving drug to family members; people who may be in contact with a person at risk of an opiate overdose; or to the patient requesting it, pursuant to guidelines to be developed by the state's boards of pharmacy and medicine. It also ensures proper education and training for both the pharmacists and the consumers. The bill now moves to the Senate. Louisiana Overdose Antidote Bill Wins Senate Committee Vote. A state Senate panel gave quick approval Wednesday to legislation that would allow first responders to provide a life-saving drug to those overdosing on heroin. House Bill 754 would give law enforcement officers, firefighters and emergency medical personnel the authority to administer a drug that reverses the effects of heroin during an overdose. The Health and Welfare Committee sent the measure to the Senate floor for debate. Minnesota Legislature Approves Overdose Antidote, Good Samaritan Bill. Both the House and the Senate voted Wednesday to approve a measure allowing first responders, law enforcement and some nonmedical professionals to administer a drug that can counteract the effects of a heroin overdose and also provides immunity to users who call 911 in the event of an overdose. House File 2307 now awaits the signature of Gov. Mark Dayton (DFL). GOP Bill Would Define Hezbollah as Global Drug Kingpin. Rep. Mark Meadows (R-NC) has introduced a bill aimed at weakening the Lebanese Shiite militant group Hezbollah. "The Hezbollah International Financing Prevention Act (House Resolution 4411) broadens financial sanctions against the group, targets its propaganda television station al-Manar, and urges the president to define Hezbollah as a 'global drug kingpin,' giving the administration another weapon to cripple Hezbollah's operations. The bill also codifies into law the policy of the United States to prevent Hezbollah's global logistics and financial network from operating," Meadows wrote in a press release. The measure has been referred to the House Foreign Affairs and Financial Services committees. Alaska Marijuana Legalization Initiative Campaign Hands in Signatures. Supporters of an initiative to legalize marijuana in Alaska handed in 46,000 signatures Wednesday. The campaign only needs 30,000 valid signatures to qualify for the August ballot. State election officials have 60 days to verify the signatures. Marijuana Decriminalization Bill Filed in Alabama. Rep. Patricia Todd (D-Birmingham) has filed a bill that would decriminalize the possession of up to an ounce of marijuana. An as yet unspecified fine would apply to offenders. The bill has been assigned to the House Judiciary Committee and will be scheduled for a hearing when the session gets underway next week. Alabama Governor Rejects Legal and Medical Marijuana. Gov. Robert Bentley (R) said Wednesday he opposes legalizing marijuana for either recreational or medical purposes, although he suggested he would be open to FDA-approved medical marijuana products. "I do believe there are medications out there that will do the same thing," Bentley said. "Now if someone wants to use the medicine that is in marijuana, go through the testing when you do that through the FDA, go through all of that -- that's fine. I have no problem with that." New York Governor Announces Limited Medical Marijuana Program. Gov. Andrew Cuomo (D) used his State of the State address Wednesday to announce he will initiate a limited medical marijuana program through executive action. Advocates said the measure was not enough and that the state legislature needs to pass pending medical marijuana legislation. Utah Moving to Undo Asset Forfeiture Reforms. The Utah legislature moved late last year to roll back asset forfeiture reforms approved by state voters in a 2000 referendum. In unanimous votes, legislators approved a bill that will kill the provision requiring reimbursement for property owners who win in court and to require prosecutors to file such cases in a timely manner. Read Radley Balko's lengthy report by clicking on the link. Experts File Brief Challenging Use of Child Abuse Law against Pregnant Women Using Methadone. Some 76 groups and experts in maternal, fetal, and child health, addiction treatment, and health advocacy filed an amicus curiae (friend of the court) brief before the New Jersey Supreme Court, urging it to overturn a lower court ruling making the state's civil child abuse law applicable to women who received medically prescribed methadone treatment while pregnant. Indiana ACLU Challenges Pain Medication Drug Test Rules. The ACLU of Indiana filed a lawsuit Wednesday in federal court challenging a new state rule that requires patients prescribed a certain level of pain medications to undergo annual drug tests. The rule concocted by the state Medical Licensing Board last month requires such patients to sign a treatment agreement that includes agreement to undergo the annual tests. The ACLU argues that the rule violates Fourth Amendment proscriptions against unreasonable searches and seizures. Massachusetts ACLU Sues to Block Drug Dog Sniffs of Prison Visitors. The ACLU of Massachusetts and a prisoners' rights group have filed a lawsuit in Suffolk County Superior Court seeking to block the state Department of Corrections from using drug dogs to search prison visitors. The suit seeks a preliminary injunction to immediately stop the practice and allow for public comment on the policy, which the department instituted in November. A hearing is set for January 24. Peru Coca Eradication to Target VRAEM for First Time, DEVIDA Head Says. The Peruvian government for the first time will attempt to eradicate large amounts of coca crops in the Apurimac, Ene, and Mantaro river valleys (VRAEM), the head of the Peruvian anti-drug agency DEVIDA said Wednesday. The area is the most densely planted coca growing region in the world, accounting for more than half of all Peruvian production, and is the home of Shining Path guerilla remnants who got involved in the drug trade as their rebellion fizzled 20 years ago. DEVIDA wants to eradicate 37,000 acres of coca crops there, about 75% of total plantings in the region. Look for trouble when eradication efforts actually get underway, probably in August. 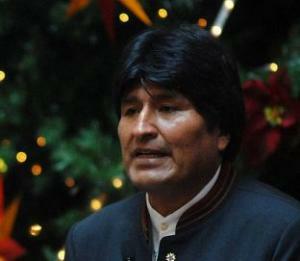 Bolivia to Use G-77 Post to Push for Legal Coca Leaf Internationally. Bolivian President Evo Morales has assumed chairmanship of the Group of 77 nations, and he said Wednesday that he would use his position to push for removing coca leaf from the 1961 UN Single Convention's list of internationally banned drugs. Bolivia briefly left the treaty in 2012 before returning last year with a reservation that it did not recognize the ban on coca leaf chewing. "Last year, we achieved recognition of traditional consumption of the coca leaf," he said. "Our next task will be to remove the coca leaf from the list of prohibited substances." Germans Not Ready for Marijuana Legalization, Poll Finds. Only 29% of Germans said they favored legalizing marijuana in a new poll, while 65% were opposed. The only political party with a majority favoring legalization was the Greens, and just barely, with 51%. A Green politician, Monika Herrmann, is trying to open a Dutch-style cannabis coffee shop in Berlin's Friedrichshain-Kreuzberg district, but would need federal government approval. This poll isn't going to help. France Approves Marijuana-Based Medicine for Multiple Sclerosis. France's health ministry announced Thursday it had approved the use of Sativex, a cannabinoid mouth spray, to treat patients suffering from multiple sclerosis (MS). The drug is the first marijuana-based medicine to be made available in the country. Sativex is already approved in more than 20 countries. DPA California Initiative Revised. The Control, Regulate and Tax Marijuana initiative, filed earlier this month by the Drug Policy Alliance (DPA), has been revised. The new version increases the personal grow limit from four plants to six, makes the 1,000-foot buffer rule around schools optional instead of mandatory, and makes the California Industrial Hemp effectively immediately. Left intact were no changes in criminal penalties, no changes in the state's medical marijuana law, and a 25% tax on adult retail sales. DPA head Ethan Nadelmann said in a conference call yesterday that the group would decide early next year whether to move forward for 2014. 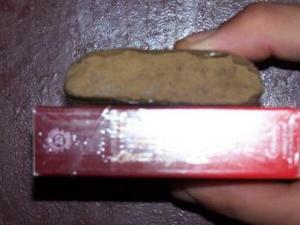 Oregon Appeals Court Rules Cops Must Give Back Seized Medical Hash. The Oregon Court of Appeals ruled Wednesday in Oregon v. James Jonathan Ellis that a medical marijuana patient whose hash was seized during an arrest can get it back. A district court judge had refused to order it returned, finding that hash wasn't covered under the state's medical marijuana law, but the appeals court disagreed, citing the federal Controlled Substances Act's definition of marijuana, which Oregon's law adopted, and which includes "every compound, manufacture, salt, derivative, mixture, or preparation of the plant or its resin." Colorado Appeals Court Rules Cops Must Give Back Seized Medical Marijuana. The Colorado Court of Appeals ruled Thursday in Colorado v. Robert Clyde Crouse that a district court judgment ordering Colorado Springs Police to return marijuana seized from leukemia patient Crouse was correct. Colorado Springs authorities had argued that federal drug laws preempted their returning Crouse's medicine, but neither the district court nor the appeals court was buying it. Wyoming Legislator to Introduce Medical Marijuana Bill. Rep. Sue Wallis (R-Recluse) said this week that she intends to introduce a bill in the legislative session that starts early next year to allow the use of marijuana for medicinal purposes. Wallis said the death a year ago of her husband, Rod McQueary, brought the issue of legalizing medical marijuana into sharp focus for her. She said he benefited greatly from medical marijuana from Colorado in his last days. Michigan Legislator Introduces Asset Forfeiture Reform Bill. Rep. Jeff Irwin (D-Ann Arbor) has introduced a bill, House Bill 5213,that would prohibit civil asset forfeiture unless and until a person is convicted of a criminal offense. "Asset forfeiture was sold as a needed tool for law enforcement to attack drug kingpins and gang leaders," Rep. Irwin said. "[But] too often, law enforcement uses the current asset forfeiture law to take tens of millions of dollars every year, mostly from low-level users and small-time dealers. We need to change how asset forfeiture works. By requiring a person be convicted of a crime before their seized property is subject to forfeiture, we will stop the worst abuses and curtail the insidious incentives that lead some law enforcement to short circuit due process and the fundamental principle that a person is innocent until proven guilty." Kansas Drug Testing Law Punishes Welfare Recipients, But Lets Lawmakers Skate. The Kansas legislature this year passed a bill, Senate Bill 149, that allows for drug testing of welfare recipients. Amid charges of hypocrisy, solons added language to include drug testing of themselves. But Wednesday, the director of Legislative Administrative Services, who is charged with implementing legislator testing, told legislative leaders that the law does not include any ramifications for a positive drug test and does not explicitly make the results public, so he will be treating them as confidential medical records. Connecticut Sentencing Commission Recommends Cutting Drug-Free Zones. The Connecticut Sentencing Commission recommended Thursday that lawmakers sharply curtail drug-free zones around schools. The commission said they created racial disparities, unfairly affecting blacks and Latinos, who are more likely to dwell in urban areas, where schools and day cares are more densely packed. The commission recommended scaling the zones back from 1,500 feet to 200 feet. It also recommended limiting drug-free zone charges to those actually intending to infringe on the zones, as opposed to those just passing through. Peru in Half-Billion Dollar Deal to Buy Russian Helicopters for Anti-Drug, Anti-Terrorism Effort. The Peruvian and Russian governments announced a deal Wednesday in which Russia will provide 24 Mi-171 helicopters to the Peruvian armed forces. The Peruvians plan to use them for anti-narcotics and anti-terrorism work in the central mountain areas where coca leaf and cocaine production are widespread. Belgian Cannabis Social Club Raided. Belgian police acting on orders of the Justice Ministry raided the country's second cannabis club Wednesday (sorry, link in Dutch only). Raiders hit the Mambo Social Club in Hasselt, which follows the country's one-plant-per-person guidelines, seizing plants, records, and computer equipment. No word yet on any criminal charges. AP Poll Finds Opposition to Legalization Declining. In a poll released Thursday, the Associated Press found opposition to legalizing small amounts of marijuana declining, from 55% in 2010 to 29% now. At the same time, the poll reported support for legalization rising from 33% to 36%. The poll included an option for "neither support nor oppose," with 33% choosing that response. While support is up slightly, according to the poll, a good chunk of those opposed in 2010 have moved to "neither support nor oppose" now. Wall Street Journal Poll Explores Attitudes on Where Marijuana Should Be Sold. In a poll released Thursday, the Wall Street Journal found that the most popular locations where Americans wanted legal nmarijuana to be sold were pharmacies (69%), followed by pot shops (60%), liquor stores (39%), coffee shops (17%), and supermarkets (13%). The poll also reported that 53% said the sale and possession of small amounts should not be legal, but that 80% said it should be regulated like alcohol. Go figure. Arizona Pot Polls All Over the Place. Three Arizona polls on marijuana legalization have come up with wildly different results. Two polls from earlier in the year had support for legalization at 56% and 60%, but one just released had support at only 39%. That one is from Susquehanna Polling and Research, which only does polls for candidates who are Republicans and which had Romney beating Obama in Pennsylvania three days before the 2012 election. Obama won the state by five points. Relief on Banking Could Come Early Next Year. Marijuana businesses could enjoy access to banking and financial services early next year, Jack Finlaw, chief legal counsel to Colorado Gov. John Hickenlooper (D) said Thursday. "What we're being told," Finlaw said during a teleconference, "is probably in the first quarter of 2014 there will be some guidance issued that's comparable to the Cole memo from the Department of Justice that will give, maybe not a green light, but a yellow light to banks to allow them to do business [with marijuana businesses] -- to take deposits, to set up checking accounts, to set up small business loans, to allow these businesses to accept purchases through debit cards or credit cards, to allow what normal businesses are allowed to do." The comment comes after a meeting of the Bank Secrecy Advisory Group in Washington, DC, last week. St. Louis Legalization Debate Packs 'Em In. A Wednesday night debate on marijuana legalization filled the St. Louis Ethical Society to overflowing as Show Me Cannabis Regulation executive director John Payne took on Missouri Narcotics Officers Association vice president John Grellner for 90 minutes of heated, but polite debate. Show Me Cannabis is working to put a legalization initiative on the ballot next year. Washington Regulators Recommend Letting Patients Keep Their Personal Grows, But Eliminating Collective Grows. The state Liquor Control Board has reversed itself and is now recommending that patients be able to keep their grows of up to six plants. "Allow home grows and the ability for a qualified patient or designated provider to possess marijuana plants. A qualified patient or designated provider may possess 6 plants, 3 flowering and 3 nonflowering," the board recommended. But it also recommended eliminating collective gardens, the backbone of the state's dispensary system. New York Medical Marijuana Bill Gets Long Island Public Hearing. A medical marijuana bill, the Compassionate Care Act, got a public hearing Wednesday in the chamber of the Nassau County Legislature. It had one earlier this month in Buffalo. The hearings are designed to mount public pressure on the state Senate to get the bill through. UN Security Council Has "Deep Concerns" About West African Drug Trade. In a presidential statement Wednesday after a briefing from UN Secretary General Ban Ki-moon, the UN Security Council expressed "deep concern" about a growing drug trade in West Africa and its links to terrorism. Ki-moon told the Security Council $1.2 billion worth of cocaine transits the region each year, where governments are weak, borders are porous, and extremists are on the march. Canada's Tories to Modernize Marijuana Laws? Canada's governing Conservatives could modify the country's pot laws, Justice Minister Peter McKay hinted Wednesday. Fining marijuana users instead of arresting them is one possibility, he said. "That doesn't mean decriminalizing or legalizing, but it does mean giving police options, for example, to issue fines in addition to any other sanctions, or as a substitute for other sanctions," MacKay told QMI Agency. "These are things that we are willing to look at in the new year, but there's been no decision taken." Seattle City Attorney Wants to Accommodate Pot Tourists. Seattle City Attorney Peter Holmes has warned the city council against passing rules that will make it harder for tourists to enjoy legal marijuana. "We need to recognize that tourists are coming to this state to sample wine, to sample Washington marijuana, to sample any of the attributes of this destination city; that we accommodate that somehow," he told KPLU FM. Washington State Leaning Toward Allowing Home Medical Marijuana Grows. Members of the state Liquor Control Board signaled Friday they will recommend medical marijuana patients continue to be allowed to grow their own medicine. The state Health and Revenue departments and the liquor board had earlier proposed outlawing home growing once I-502 takes effect, but aroused a storm of outrage from patients and their supporters. The board is expected to formally recommend allowing the grows next week. Colorado Could Cut Patient Fees. State health officials want to reduce the fee paid by licensed medical marijuana patients. The Board of Health will hear a proposal next week to drop the annual fee from $35 to $15. That's because the fund that pays for the patient registry has a $13 million surplus, and the fee is not supposed to be about generating revenue, just paying for the costs of the program. There are nearly 113,000 registered patients in the state. Second Hearing Held on Guam Medical Marijuana Bill. A pending medical marijuana bill on Guam got a second public hearing Thursday. The island's public health director said he could not support the bill because there was no funding for regulation, but patients and medical marijuana supporters testified in support of the bill. The measure, Senate Bill 215, remains alive, and cosponsor Sen. Tina Muna Barnes said she was working on amendments based on feedback from the public. Michigan Senate Approves Welfare Drug Testing Bill. The Michigan Senate Thursday approved Senate Bill 275, which would set up a pilot program to start subjecting some welfare recipients to drug testing. Recipient would be screened and those for whom there was "a reasonable suspicion" of drug use would have to submit to a drug test. A first failed drug test would result in a referral to treatment, a second would result in loss of benefits. The Republican-supported bill passed on a straight party line vote. Similar legislation has been approved in the House. Report Reviews Changes in Federal Sentencing Since Booker. A new report, Legal Change and Sentencing Norms in Federal Court: An Examination of the Impact of the Booker, Gall, and Kimbrough Decisions, finds that not that much has changed. A series of Supreme Court decisions beginning with Booker held that federal sentencing guidelines are merely advisory, and expectations were that their impact would be significant. But "the findings suggest that sentencing policy changes at the national level -- including reforms mandated by these cases -- neither uniformly nor dramatically transformed sentencing practices. Factors in individual cases were the largest predictor of sentencing outcomes over all time periods. Sentencing behavior across districts changed incrementally over time but did not dramatically shift during major policy changes." 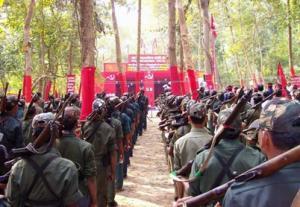 Indian Maoists (Again) Linked to Black Market Marijuana Trade. India's long-festering revolutionary Maoist movement, the Naxalites, is once again linked to the illicit trade in drugs. Officials in Odisha are complaining that they cannot eradicate the Naxalites until they "have control over the illegal cultivation of cannabis, which, according to intelligence sources, has become a major source of funding for the Maoists." Six of eight named districts where large-scale pot growing is "a well known fact" are known as "highly Naxal-infested districts." The state government is engaged in manual eradication, but is considering aerial spraying. Costa Rica Public Opinion Not Ready for Marijuana Legalization. Costa Rica is not ready to legalize marijuana, according to a new public opinion poll. The survey from the School of Statistics at the University of Costa Rica found that only 15% favored legalization, while 50% were opposed. Medical marijuana fared better, with 53% in favor. British Activist to Open "Cannabis Café" in Manchester. Notorious marijuana activist Colin Davies, who once handed a bouquet of flowers including marijuana to the queen, has announced plans to open a cannabis café in Manchester. Davis, who was once jailed for marijuana trafficking, said no pot would be sold at the café; instead it will be BYOB. Marijuana remains a Class B drug in Britain, so Davis should be looking for a police reaction.